In this article you will learn the uncovered truth about the potential of high-level nuclear fallout from Japan’s damaged nuclear reactors and what you can do about it nutritionally to inhibit your body’s absorption of radioactive carcinogens. Despite the cover-up announcements in mainstream news and from corporate heads, it is growing more and more apparent that after the 9.0 earthquake on March 11, 2011, the area surrounding and downwind of Japan’s (or General Electric’s) Fukushima nuclear reactor is being exposed and going to be exposed to the microscopic dust-like radioactive chemicals radio-iodine, cesium-137, strontium-90 and other toxic metals. These cancer-causing chemicals easily fit into receptor sites of the human body’s main organs. I hope for the best and prepare for the worst. Take this image with a grain of sea salt. This is what happens when humans try to boil water to produce electricity while generating cancer causing materials. In other words: nuclear power. Also, placing these reactors near the “Ring of Fire” tectonic fault line was a great strategy for creating disasters like this. It was only a matter of time before a 9.0 happened. Pure quackery. Most energy producing plants can be turned off, like coal, oil, solar, wind, etc. But whence a nuclear reactor gets going, it cannot be turned off. It keeps on reacting internally and must continue to be cooled and contained. If it cannot be cooled (such as when water mains get shut down after an earthquake), then increasing temperatures can create and explode hydrogen gas, causing leaks of the volatile radioactive chemicals, as in the case of at least one to three of the reactor units in Fukushima. In fact, in normal situations, the irradiated materials must be buried for thousands and thousands of years before they can ever be exposed to the air again. If what is strongly suspected is true, then the winds will carry this radioactive dust to western Canada and the United States by March 22. Because the damaged reactor’s leak cannot be easily stopped, there is no telling how long the radiation will persist. Whence it is stopped, the radioactivity will eventually be carried into the upper atmosphere, somewhat diluting it. If you live in these areas like I do, please know that an ounce of prevention is worth a pound of cure. Packing for a road trip to half way across North America (where the winds will bring the radioactivity into the upper atmosphere instead of smearing it all the way across the surface of continent) may or may not be the perfect plan for you. But what we can all do is nourish our bodies with the nutrients that the radioactive materials mimic. We must fill up our receptor sites abundantly with certain nutrients so that they are not openly exposed to the toxic radioactive chemicals that mimic these nutrients. Potassium Iodide: There is already a worldwide deficiency of this product as people are buying this up. I personally think this product is a bit harsh and toxic and inferior to Nascent Iodine, but effective for acute radio-iodine exposure. Use as directed. Sea Vegetables: Kelps are considered the highest in iodine, and contain the co-factors for proper iodine absorbtion. The good news is that sea vegetables taste great and thus you can still have the best time ever making a seaweed rich dinner while preparing for the worst disaster ever. Ashwagandha extract: Ashwagandha acts as an adaptogen against stress and has been shown to regrow nerves. The thyroid loves coconut oil and maca for its hormone precursor constituents. 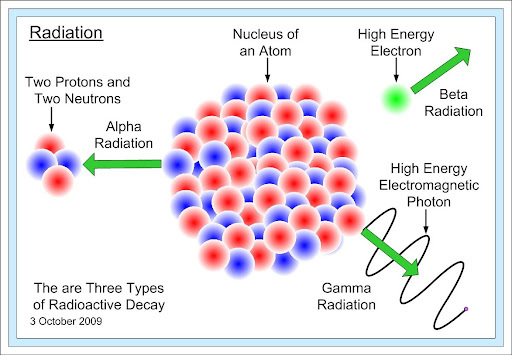 Strontium-90 fits right into your bones, emitting gamma and beta radiation. Consuming a daily brew of horsetail, nettle, oat straw and alfalfa tea (all high in silica and bone growth co-factors) nourishes the bone matrix. The new product Bone Renewel by the Synergy Company is by far the best bone-building supplement on the market! It also acts as a Vitamin D and K2 source. Cesium-137 goes into your muscles and soft tissues, emitting more gamma and beta radiation as it decays. Foods high in magnesium (green chlorophyll-rich vegetables, raw cacao) and sulfur (MSM, spicy foods) promote proper circulation and detoxification of the skeletal and smooth muscle. Taking zeolites (Natural Cellular Defense and ZeoForce are great choices) will safely and permanently chelate heavy metals (like cesium) to be easily urinated out. Hydrate well when taking zeolites. Fulvic acid, shilajit, chlorella, afa blue green algae, and cilantro are known to bind up and help detoxify heavy metals. Medicinal Mushroom extracts and mycelium: These immunomodulating gentle herbs lift your immune system up when its down from environmental stress, but can also lower any autoimmune situations such as when the body attacks itself (i.e. attacking the thyroid because the thyroid is full of radioactive toxins). Get your mushrooms now before future supplies that are grown in the fallout zones test positive for radioactivity. Growing mushrooms are notorious for bioaccumulating toxins into their tissues, more so than plants, but only if the toxins are present in their growing medium (such as radioactive metals deposited on the soil). Nourish your adrenals and kidneys with a high quality sea salt. I like Celtic the best. MegaHydrate is a product that delivers free hydrogen ions to your system, increasing the uptake of nutrients (especially omega-3 fatty acids) vital for immune system and nervous system maintenance. Whole food vitamin C (camu berries, acerola berry, amla berry to name a few high sources) keeps your tissues healthy and supple, repairing damaged tissue. Antioxidants (cacao, berries and all high-ORAC foods) combat the free radical damage done by radioactive decay. Brazil nuts deliver a huge amount of the much needed selenium. As a gardener, mushroom hunter and avid quality food buyer, my biggest concern is the food supply of Northern California (my back yard). If the radioactive dusts land on our soils, then the plants will be tainted this year and beyond. Again, mushrooms are especially good at picking up heavy metals. I recommend buying all your mushrooms that you like to source from the Western North America now because they may be toxic for a decade to come. Many of you have gotten to know me and my personality and you know that I am the last person to propagate fear and panic. Nor am I one to be a zelous alarmist if it turns out that radiation levels end up low. That is not what this article is for. I am hear to give you the preventative information so that you can own your power and prosper amidst any situation. This is the good news: Problems always have solutions and taking action on solutions only builds character and makes life more interesting.